If so, hop over to YA Confidential! We're opening an "Ask a Teen" thread today, and in next Tuesday's post, our teen spies will answer everything you ask! Ask anything, serious or silly. Reading habits. Daily life. ANYTHING that will help you to understand your own teen characters better. Hehe . . . It's funny because it's TRUE. You guys. Can you just give me a moment to fangirl about how PROUD I am of my friends? 1. 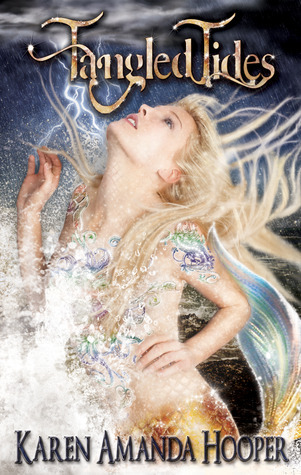 Karen Hooper's book, Tangled Tides, is coming out SO SOON! Yara Jones doesn't believe in sea monsters--until she becomes one. When a hurricane hits her island home and she wakes up with fins, Yara finds herself tangled up in an underwater world of rivaling merfolk and selkies. Both sides believe Yara can save them by fulfilling a broken promise and opening the sealed gateway to their realm, but they battle over how it should be done. The selkies want to take her life. The merfolk want something far more precious. 2. Shannon Messenger just announced her BOOK DEAL for Keeper of the Lost Cities!! Keeper of the Lost Cities, is scheduled for fall 2012. In Cities, a 12-year-old girl who can read minds, and is something of a social outcast, discovers the reason she has her abilities when she meets a mysterious boy. 3. CJ Redwine's amazing book, Defiance, was announced a while back, but STILL. A YA fantasy in which an independent girl sets out to rescue her father from the Wasteland outside their cloistered city and in the process finds danger, heartbreak, and a new romance with her father's apprentice. 4. MG Buehrlen runs the YABooksCentral website. YABC is similar to Goodreads (better IMO), but it's just for YA book lovers!! First started in 1998, the site recently had a complete design overhaul--so you should DEFINITELY check out the fabulous community!! Seriously, it's one of my new faves. Oh--and each review you submit enters you into a monthly drawing for a YABC totebag full of books from their ARC stash. And to celebrate their successes, I'm giving THESE babies away! If, by some chance, you haven't heard of one of these, click on the title in the description and you'll go to the Goodreads description. Okay. So. Pretty much the same deal as always. You don't have to do anything, other than sign up and rank the books in order of what you want to win the most. BUT if you want higher odds? Extra entries for joining YABooksCentral and friending ME! Giveaway is open international and closes Friday, October 28. My amazing and talented CP, Shannon Messenger, has some AMAZING NEWS to share!! I don't want to steal her thunder, so make sure you check out her post--but I will say that it has to do with an amazing BOOK DEAL!!! I will also say that since the first time I read even just the first few pages of this amazing series, I knew it was going to sell. Because it's way, way, way too amazing to not be read by everyone!! Wanna know what her series is about? GO CHECK OUT HER POST! Congrats to everyone! And, again, don't worry if you didn't win! Lots more coming your way soon. Promise. Names of the winners match the color of the ARC titles. Congratulations!! Please send me an email with your mailing address. And PLEASE please spread the word about how awesome these books are after you've read and loved them!